Inspired by William Strunk Jr’s “The Elements of Style”, Eric Elliot adapts its principles for improving the written word to guidelines for improving your code. 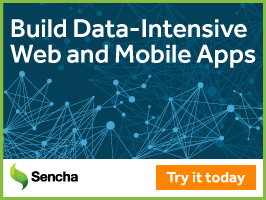 Learn how to design, develop and test data-intensive web apps that run on desktops, tablets, and smartphones. Native module support is now in Safari 10.1, as well as behind config settings in Chrome 60, Firefox 54 & Edge 15. Jake explains what this means for front-end development. Want to run a Node-powered app on a system where Node isn’t installed? pkg makes it easier to distribute your apps by packaging Node and your app all in one. Write promise-based code as if it were synchronous but without blocking the main thread. Not new but well worth revisiting, I found.